When a friend recently introduced me to a line of candles formulated to smell like and evoke memories of your favorite cities and countries, I was skeptical. Excuse this New Yorker, for whom the concept of a location-inspired scent conjures thoughts of pungence rather than perfume. But ever since I mentally discarded that idea as a bad pitch, the location-inspired fragrance trend has become one I can’t unsee—it’s everywhere. And brands are being smart with how they link their scent to the destination in question. For fragrance brand Abbott NYC, that means translating natural landscape features like mountains, glaciers and trees into notes with the help of long-time industry experts. At Homesick Candles, it means tapping destination community members for recommendations on local plants, foods or weather patterns that define their place. And for guided vacation company Trafalgar, it’s a partnership with a legendary fragrance house based on a specific tour itinerary. I’m not a huge fragrance person myself. My signature scent is dry shampoo, and my comically massive concrete Le Labo candle sits snug in its wooden crate, under a plant. Most of the time I opt to smell nothing. But fragrance has come into play more often in my own travel experiences than I initially realized. A fresh citrus scent misted onto my bath towels stands out vividly from a recent trip to the Maldives. And a whiff of the Coqui Coqui perfume I purchased during my honeymoon in Mexico’s Yucatan peninsula has become inseparable from my memories of beaches and jungles. Now, I can get behind a (good) gimmick, and the romance of traveling specifically to acquire Diptyque or Le Labo’s legendary lines of location-inspired fragrances that you can only purchase in each related city, is one I wish I had the time and money for. But lucky for those of us with 9-5 schedules, a sensory vacation doesn’t have to include shelling out for airfare. Scroll on for our favorite travel-inspired scents and fragrances. Socially conscious fragrance brand Abbott NYC takes inspiration from national parks and other iconic landscapes to bring outdoor escape directly to city dwellers. Fragrances like Big Sky, Sequoia and Telluride are available in both EDP and candle form, and all free of parabens, phthalates and cruelty. Abbott co-founder Michael Pass spent his childhood summers at Minnesota’s Voyageurs National Park—his memories of the lakes, flowers and foliage there contributed to the company’s latest fragrance with notes of ozone, violet and amber musk. One dollar of every full-size Abbott purchase is donated to a local environmental organization. Homesick’s NYC transplant founders missed home, but just not enough to move back. Instead, to indulge their nostalgia, the group compiled fragrance notes of local flowers, plants, food and landmarks from their homes—Florida, Texas and Georgia—and loaded them into the brand’s first three candles. 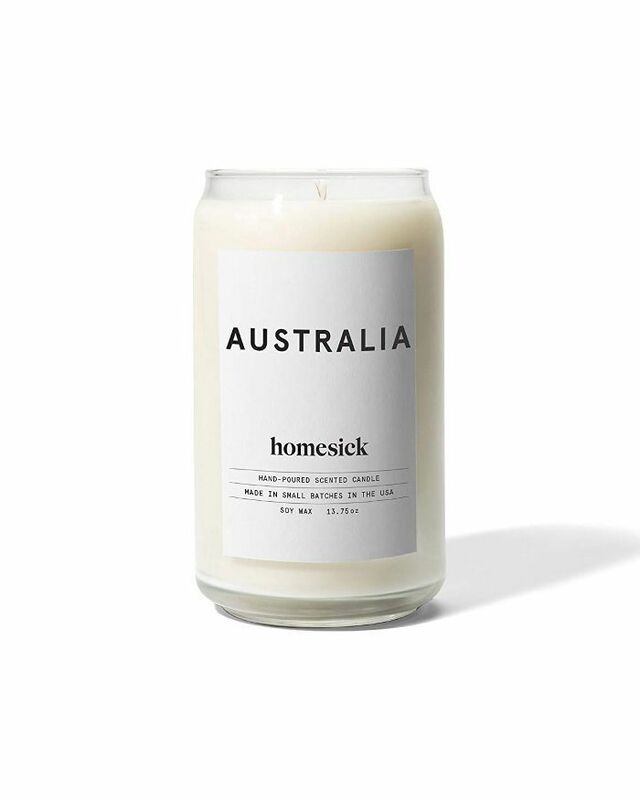 Today the Homesick creates soy wax candles for over 50 international cities, states and countries by enlisting the help of the local community to identify everything from indigenous flowers to recurring weather patterns. Think eucalyptus and salt water for Australia, sticky toffee pudding, tea and rain for the UK (though I swear I smell a hint of gin and tonic) and tortilla, jalapeno and smoke for Mexico. Tour company Trafalgar has been bringing vacationers to France for almost 70 years. But now, guests on the Paris itinerary can bottle their romantic memories of French bakeries and bouquets thanks to the company’s new partnership with iconic perfume house Fragonard. The two have created La Belle Vie—a perfume with notes of jasmine, rose and freshly baked bread, which is available to Trafalgar guests in Grasse, Paris, or Eze. Guests on Trafalgar’s “Paris Explorer” trip can also go behind the scenes at Fragonard’s headquarters to mix their own version of the La Belle Vie scent using three elements from the original. Yes, you will have to travel for this one. This vacation rental company with locations across the US wants its design-focused domiciles to become inseparable from a guest’s memories of a destination itself. Domio’s accommodations are completely shoppable—from throw pillows to wall paper, and, of course, candles and bar soap in the brand’s custom created scent. Designed with packaging meant to fit into a guest’s own medicine cabinet, Domio’s toiletries are formulated with cozy notes of home in mind—think black tea, bodega flowers, chocolate and a dash of your spice cabinet. These products will be available online and in-room when Domio’s new Baronne St., New Orleans location opens in March. Flores Lane produces luxurious but price-conscious soy candles based on neighborhoods in Los Angeles, NYC, San Francisco and South Bay. Founder Trish Baden tries to visit each neighborhood as she’s creating a candle in order to observe the place’s plants, trees, environment and overall vibe, before bottling it up into one of three size options. The scent for WEHO, one of the company’s best sellers, is inspired by the neighborhood’s party vibe—energetic notes like orange and grapefruit notes represent the area’s brunch scene and offer awakening aromatherapy benefits for the beginning of the day or before a big night out. 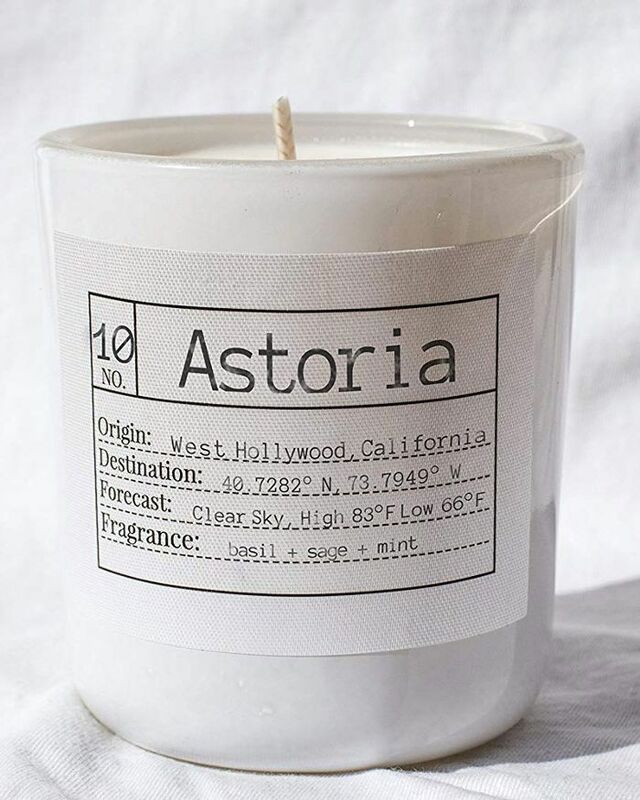 Astoria, the New York City neighborhood known for its prominent Greek community, is aptly represented by notes of basil, sage and mint. Brooklyn-based Burnin’ For You was born from founder Alex Andrade’s own smell-induced memories of childhood summers spent abroad. 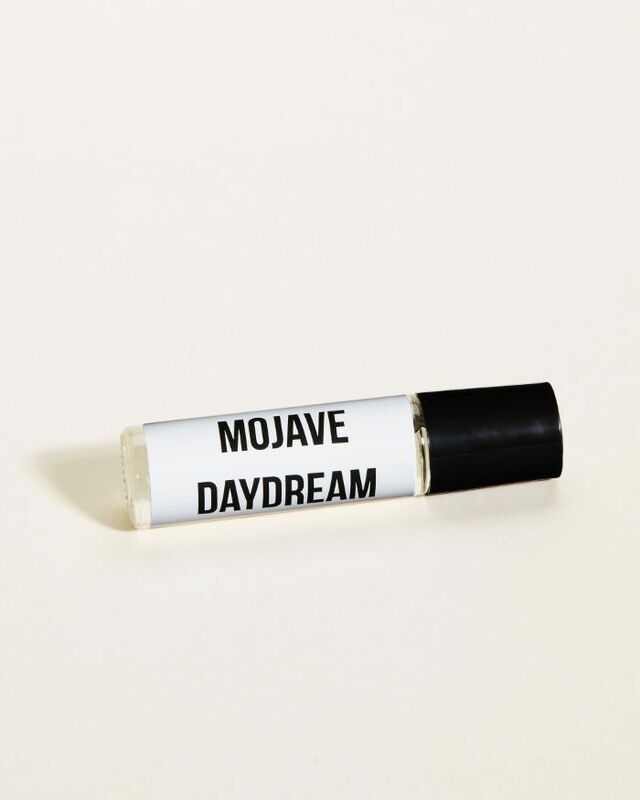 Mojave Daydream, the line’s best-selling fragrance, borrows the notes Andrade loved most during regular visits to the desert, while Wild Roses plays on Parisian gardens and Valley of Fire recalls campfires enjoyed in upstate New York. 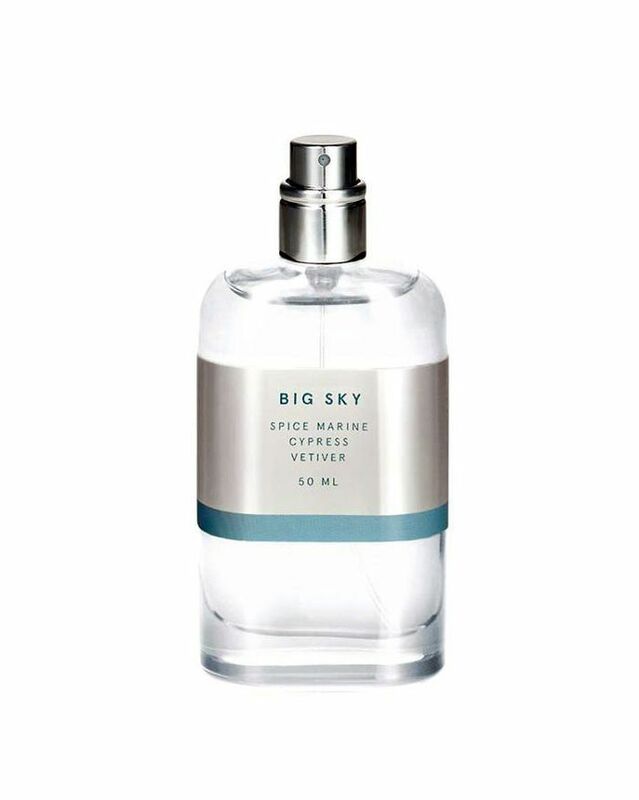 I love that each scent is also in a rich roll-on fragrance oil form, built from a coconut oil base, and that the fragrance oils are both phthalate- and cruelty-free. Remember how I’m not a scent person? These oils are converting me. 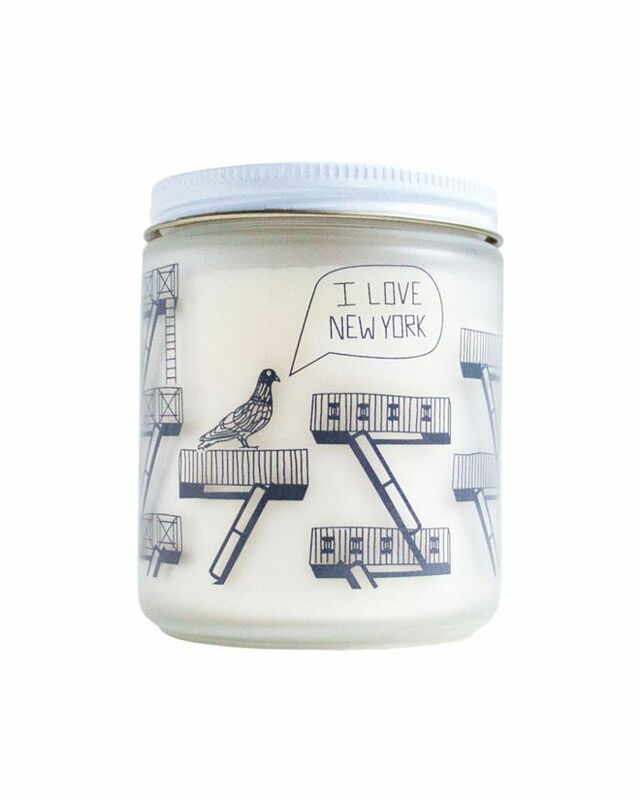 Maptote—a company of creatives in Brooklyn known for… putting maps on totes—has also branched into the nostalgic candle business with an initial release of scents matched to five places: Philly, Boston, NYC, California and Portland, Oregon. Each 100% soy candle was formulated with the team’s favorite local memories in mind. We love the printed jars, which will pull double duty long after the candle’s 40-hour burn time has become a memory. Edition has aligned itself with Le Labo to create a custom scent that guests can associate with their time spent at the hotel… even after they’ve left. 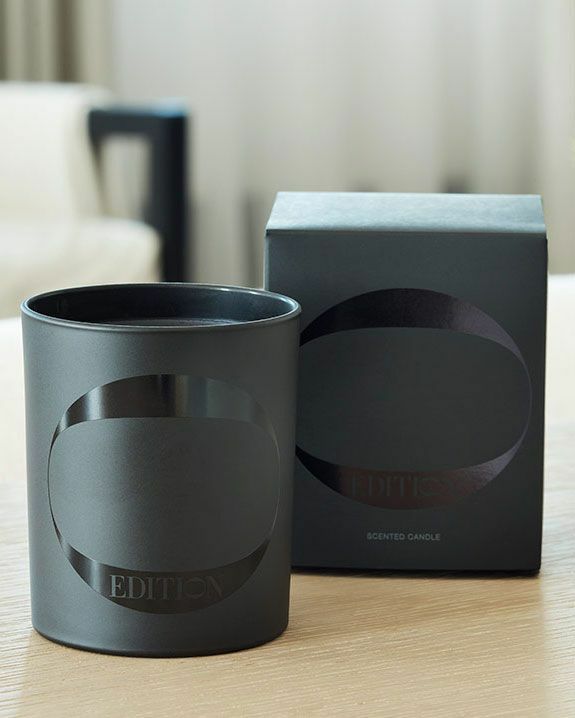 Guests can purchase candles and fragrance cartridges diffusers and even toiletries from the collaboration (boasting signature notes of bergamot, green and black teas and cedar wood) online. That feeling when you run out of the great travel-size body lotion you pilfered from the hotel bathroom? No longer a problem. Click here for 7 makeup tips to keep in mind while packing for your next vacation.